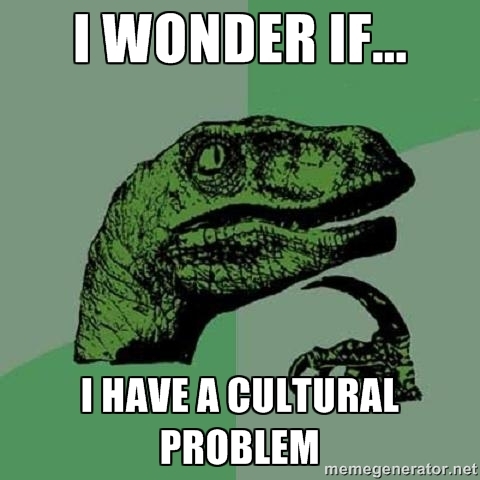 How do we know if we have a cultural problem? Do any of these statements sound familiar? If they do, it’s time to find a cultural solution to your cultural problem. In Business failures in China; a failure to connect at a cultural level, I wrote about the inability of many otherwise successful western companies to achieve success in China. I said that the roots of their failures appeared to indicate more than simply an inability to understand the local culture – they demonstrate a failure to connect with their target market at a cultural level. In wherewordsfailblog.com‘s most read post, The silent killer murdering international business ventures, I wrote about how an ignorance of the need to prioritise culture when operating in foreign markets or across cultures is akin to a silent killer whereby the cause of death is often misdiagnosed. So, how do you know if your organisation has a cultural problem with its overseas business venture? Look at the list of statements below. If they reflect your experience or the assessments of your organisation and you’re confident that you have the business aspects of your operations right, you might have a cultural problem. Do any of these statements sound familiar? If they do, it’s time to find a cultural solution to your cultural problem. My business, League Cultural Diplomacy finds cultural solutions for it’s clients through corporate cultural diplomacy (CCD). Drawing on the finest traditions of statecraft and international diplomacy, many successful companies now use CCD as a tool to manage international business relationships and gain influence in foreign markets. What is corporate cultural diplomacy? And stay tuned to wherewordsfailblog.com for more!